At Danecroft in Wilstead, we provide residential care for the elderly, including those with dementia. 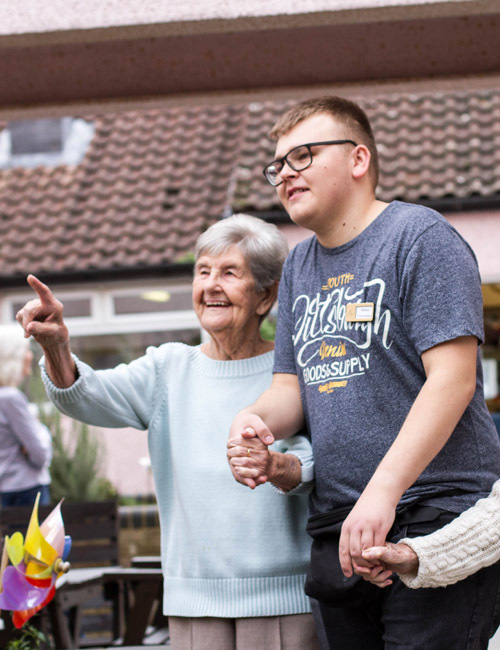 With support from district nurses, we are also able to look after residents with more complex needs – which may allow them to stay with us rather than a nursing home. The care we offer is person-centred so all our residents are treated as individuals, with their own personalised care plan. Our staff don’t wear uniform as we believe residents should be treated as equals – like part of our family, in fact. Danecroft has 33 bedrooms, some with ensuite, set in a converted 1930s bungalow. It comes with two cosy lounges, one of which contains a 1950s-style area complete with furniture from that era. It also has a dining room that overlooks a small courtyard garden, three bathrooms and a kitchenette that’s always open for residents and visitors. The home is nestled in the Wixams community, with a local shop, garden centre and village hall within walking distance along with lakes for scenic walks. It’s a place where residents can enjoy a real sense of belonging thanks to visits from the local school children and seasonal community events. Are you looking for short-term care?